Chelsea Striker joins Norwich on loan until the end of the season! Patrick Bamford has signed for Norwich City on loan until the end of the season and has been given another crack at the Barclays Premier League after a disappointing spell with Crystal Palace. I sincerely hope he is given game time. #Repost @norwichcityfc. ・・・ Welcome, Patrick! 🐤 #ncfc #bpl #transfers Bamford joins on loan until the end of the season! I am disappointed being honest. 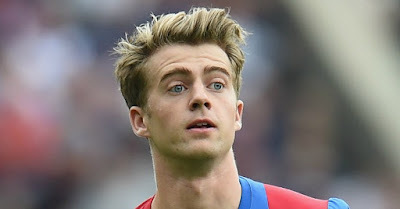 With the injury problems Falcao has, with Loic Remy off on his way before the transfer deadline tomorrow, having only Diego Costa and Pato within our ranks as the striking options with the latter to try and gain match fitness, I honestly believe that Chelsea should have promoted Bamford into our first team and maybe given him a crack this afternoon. The good thing here is that it's just a loan deal for the time being and we haven't sold him!